Everyone needs help when they first get started with anything important. Unfortunately, most of the people doing Medicaid Planning are so busy doing it, they often don’t have time to help mentor planners wanting to learn and grow in this area. Additional, novice planners need a helping hand to make sure they’re covering all of their bases. Sometimes these threshold barriers hold back advisors from growing in this area because of the fear of being overwhelmed at the beginning. The mentoring program offered by Michael Anthony, JD, CMP™ is designed to give you the help you need and help speed up your learning curve. With the mentoring program, you can have direct access to a level of services that is right for you. Expert assistance reviewing cases for potential planning solutions. Help designing the right strategy for long-term care Medicaid eligibility for your clients. Real-time help avoiding common pitfalls that often ensnare unsuspecting planners. Are you an attorney that wants to add Medicaid Planning to your practice or get help with your Medicaid Planning case? The elder law mentoring and practice development program offered by Michael Anthony, JD, CMP™ is designed to serve your needs no matter where you are at in practice. 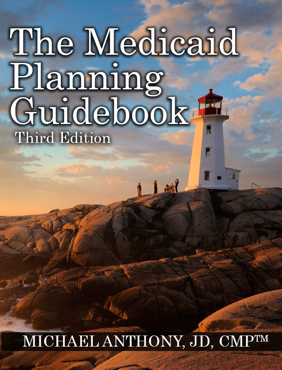 Many attorneys are finding it necessary to add Medicaid Planning to their practice. The combination of our education platform with attorney Anthony’s mentoring and practice development program is the easiest way EVER to add Medicaid Planning as a practice area for your law office. Are you a financial advisor looking to add Medicaid Planning financial services to your business or have assistance with financial product design and suitability for Medicaid Planning cases or benefit coordination cases? The financial advisor mentoring and practice development program offered by Michael Anthony, JD, CMP™ is designed to give you the level of support you need to help you provide the highest quality of financial services in the Medicaid Planning field. Being an advisor who understand Medicaid Planning can increase the amount of value you have to your clients and grow the amount of cases that you can provide high quality financial services to support critical Medicaid spenddown plans. 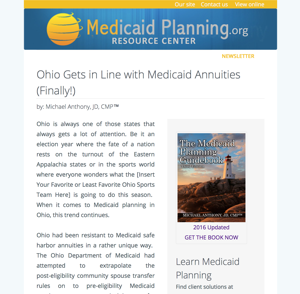 Medicaid rules have always been favorable towards certain types of annuities, limited life insurance, and funeral expense trusts. We have knowledge and experience to support all of these products and work with you to make sure that you don’t run afoul of the rules or cross the line with UPL issues. We can even pair you with one of our elder law attorneys to help you develop a team approach to your planning problems. For more information or to request a Mentoring and Practice Development Brochure, email: info@MedicaidPlanning.org. Mentoring services are provided by Michael Anthony, JD, CMP™ in is his individual capacity and are not provided through or with the oversight of MedicaidPlanning.org.